A 49 year-old man, Hassan Mohammed Taiwo, who allegedly hid 1.3 kilogrammes of cocaine inside a pair of sandals, while traveling to Saudi Arabia, was today, arraigned before a Federal High Court, Lagos, by officers of National Drugs Law Enforcement Agency (NDLEA). The accused according to the NDLEA lawyer, Mr. J. I. Igunbor, was arrested on May 20, 2018, at about 10. 25 a.m., at the screening 11 wing ‘G’ of the Murtala Muhammed International Airport, Lagos, during an outward clearance of passengers from Egypt Airways, via Cairo, Egypt en-route Saudi Arabia. 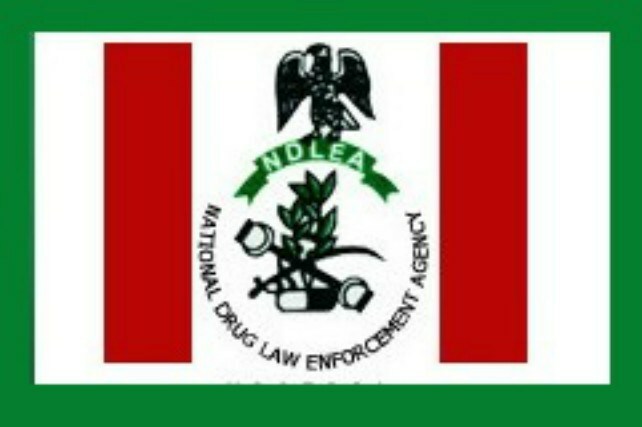 Igumbor told the court that the operatives of NDLEA discovered the banned drugs in a pair of sandal wore by the accused. He was charged before the court for unlawful possession of the hard drugs and attempts to export same lawfully. Following his guilty plea, the prosecutor, Mr. Igumbor, asked the court for a date for review of fact of the matter and the subsequence sentence of the accused. Upon the submissions of the parties, Justice (Professor) Chuka Obiozor, while adjourning the matter till November 22, for review of facts of the case against the accused and possible sentence, ordered that he should be remanded in prison custody. Count one of the charge reads: “that you, Hassan Mohammed Taiwo, Male, 49 years, on or about the 20th day of May, 2018 at about 10.25hours, during the outward clearance of passengers from Egypt Airways to Saudi Arabia; via Cairo, at the Screening 11 “G” Wing of Murtala Muhammed International Airport, Lagos State, within the jurisdiction of this Honourable Court, did export 1.3 kilogrammes of Cocaine, a narcotic drug, concealed Inside sandal slippers belonging to you, thereby committing an offence contrary to and punishable under Section 11(b) of the National Drug Law Enforcement Agency Act Cap N30 Lagos of the Federation of Nigeria 2004. Count two reads: “That you, Hassan Mohammed Taiwo, Male, 49years, on or about the 20’” day of May, 2018 at about 10.25hours, during the outward clearance of passengers from Egypt Airways to Saudi Arabia; via Cairo, at the Screening 11 ‘G’ Wing of MurtaIa Muhammed International Airport, Lagos State, within the jurisdiction of this Honourable Court, was found In possession of 1.3 kilogrammes of Cocaine, a narcotic drug, concealed Inside sandal slippers belonging to you, thereby committing an offence contrary to and punishable under Section 19 of the National Drug Law Enforcement Agency Act Cap N30 Laws of the Federation of Nigeria 2004”. Be the first to comment on "NDLEA Arraigns Saudi Bound Passenger For Hiding Cocaine In Sandals"